Citizen TV news anchor and reporter Willis Raburu is one of the more popular media personalities in the country. In addition to his journalistic work, his most notable project remains the rib-cracking “Truthmeter” segment. 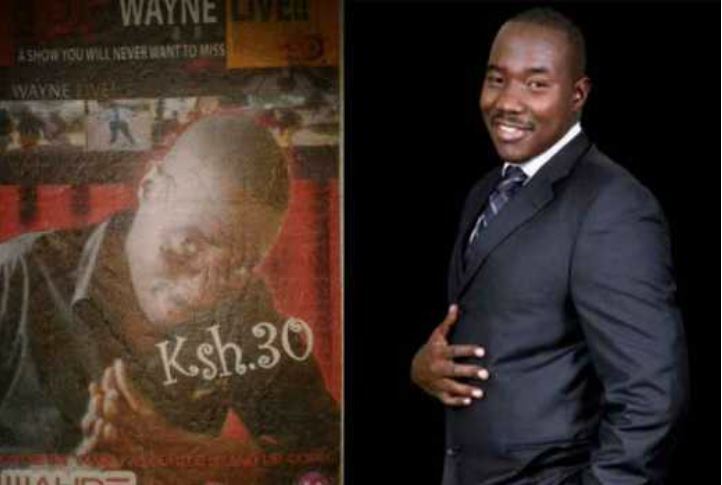 He is now co-host of popular Friday night show “10 Over 10” and is considered a success story in the media industry. However, it was not always easy for Willis who started entertaining the masses while still in campus at the Moi University School of Information Sciences. He studied there between 2006 and 2009 and graduated with a Bachelor of Science in Information Sciences. Below, Willis reveals little-known facts about his life on campus and how he was a comedy show host. I consider myself funny, or at least that’s what my friends say about me. I probably wouldn’t have known this if I had not been to Moi University. I was among top performers at our university’s cultural day. Trust me, I made people laugh. I happened to be so good that one of my friends suggested I host a comedy show. I picked up the idea and created an alter ego… Just like Tyler Perry does with ‘Madea’, mine was a lady character called ‘Peninah’. All I wanted to do was give people an alternative for Friday engagement. I wanted them to spend their Fridays laughing and not go out to spend their pockets off. I gave them the option for just 30 bob. The first time, I was on my own, and it was hard. I had to get someone to design my posters, while I played promoter and ticket seller. I would walk around with one poster, sit with it at the student’s centre, advertise it and carry tickets along with me. I still had to attend my lessons. I knew students could be broke at times, but sparing just 30 bob for a good laugh would not be too much for them. People would ask whether the Wayne (My nickname in Campus) would show up for the event. They could not even tell I was Wayne, yet I was supposed to make them laugh. Students came in numbers and laughed their Fridays off. I made an extra Sh20,000 out of that and had enough money to pay the other entertainers that I’d invited. From that time, ‘Wayne Live’ became a regular event which earned me a few bucks on the side. I made people long for Fridays. I think I was funny; I think I still am.